I was fortunate enough to spend three weeks in Japan this summer through the Japan Society’s Educators’ Study Tour. It was an incredible experience: we explored Kyoto, Nara, Hiroshima, Nagasaki, and Tokyo; we also had a three-day homestay in Obu City, which is in Aichi Prefecture. We also met with several hibakusha, Japanese survivors of the atomic bombs. These encounters were particularly humbling and moving. It will take me some time to reflect fully on the trip and to translate my learning into lessons and posts. In the interim, however, I did want to share some pictures of Buddhas and bodhisattvas from the trip. 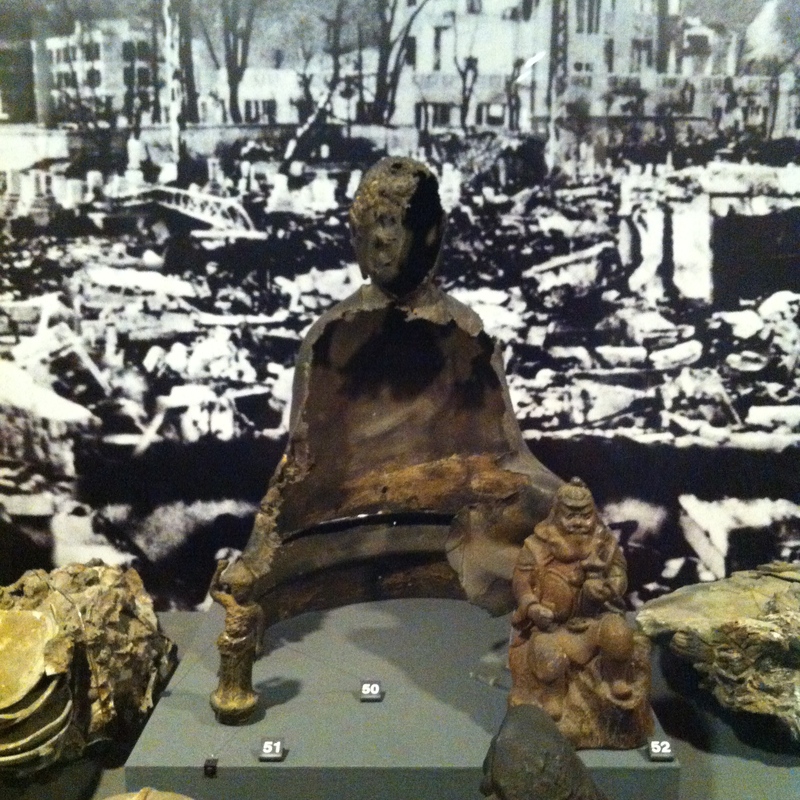 This Buddha is from the Hiroshima Peace Memorial Museum. It was recovered not long after the atomic bomb was dropped in 1945. This statue is known as Maria Kannon: Maria, in reference to the Virgin Mary, and Kannon, in reference to the bodhisattva of compassion. 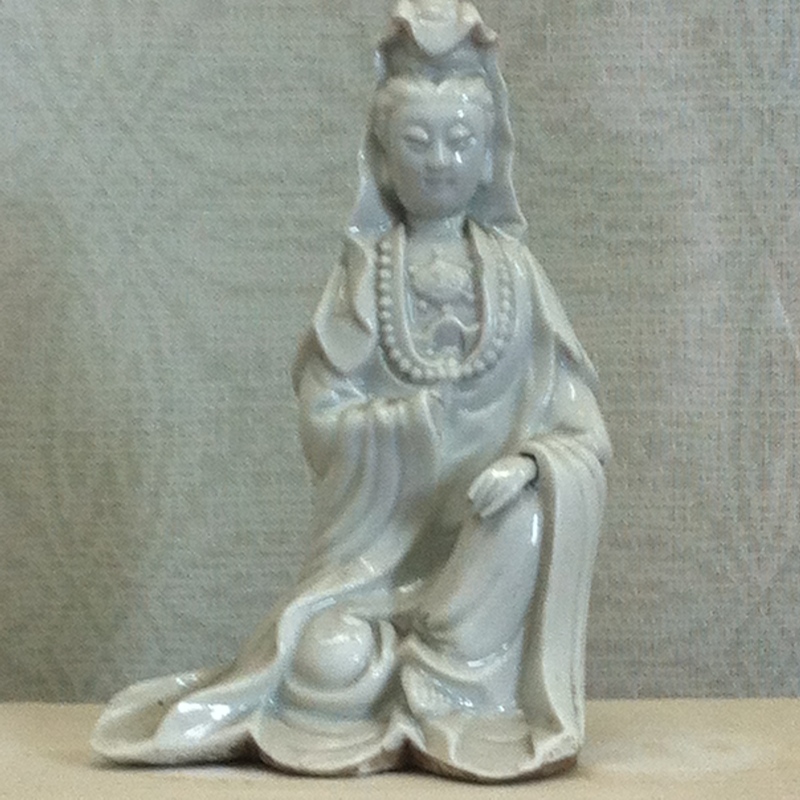 (Kannon is the Japanese name; this figure also goes by Avalokiteshvara in Sanskrit and Guanyin in Chinese.) During the Tokugawa Era in Japan (17th-19th Centuries), Christianity was banned. However, some Christians still practiced in secret. To express their devotion to Mary, the created statues that resembled those used by Buddhists to worship Kannon. This statue is from Nagasaki, where Christianity was first brought to Japan by Portuguese Catholics in the mid-16th Century. 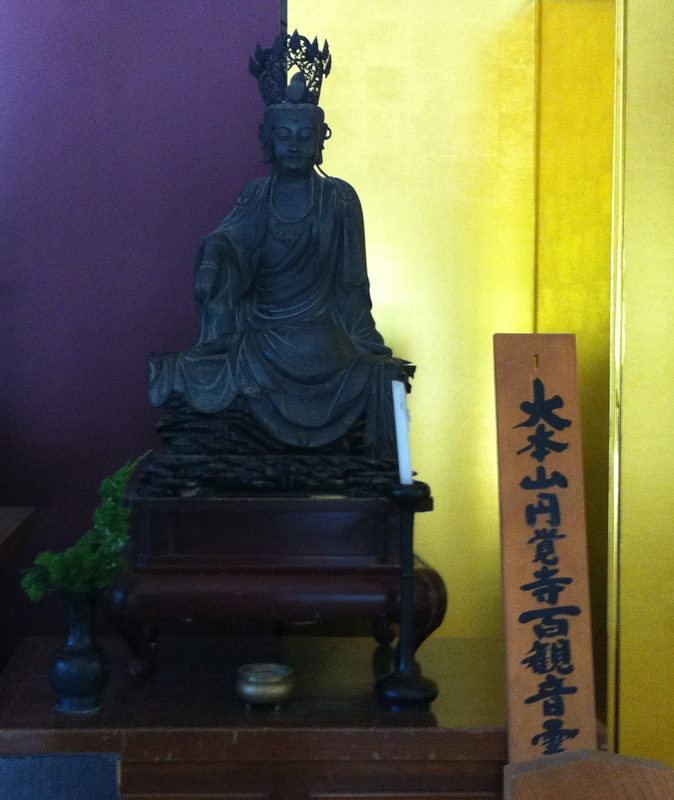 This Kannon statue is from Engaku-ji monastery in Kamakura. This monastery is an important Zen training center and has had an important place in Japanese Buddhism since its founding in the 13th Century. 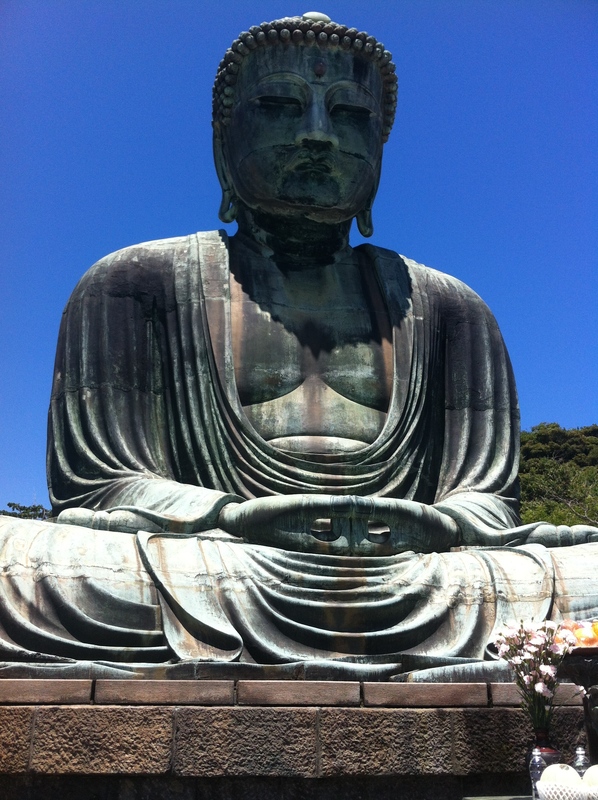 The great Kamakura Daibutsu! 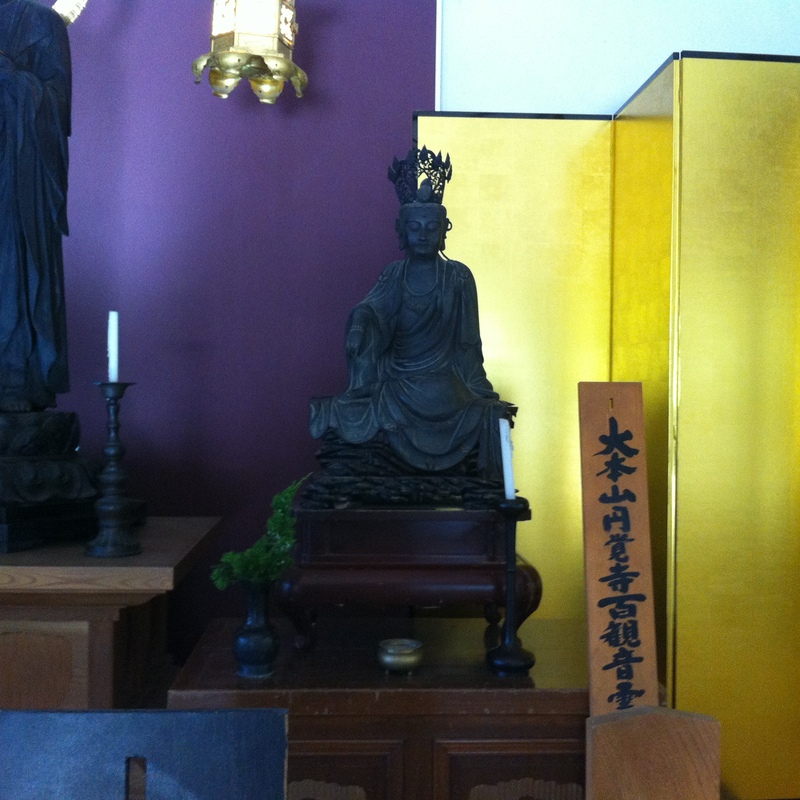 This bronze statue of Amitabha Buddha is over 40 feet tall. Visitors can even go inside this Buddha statue. 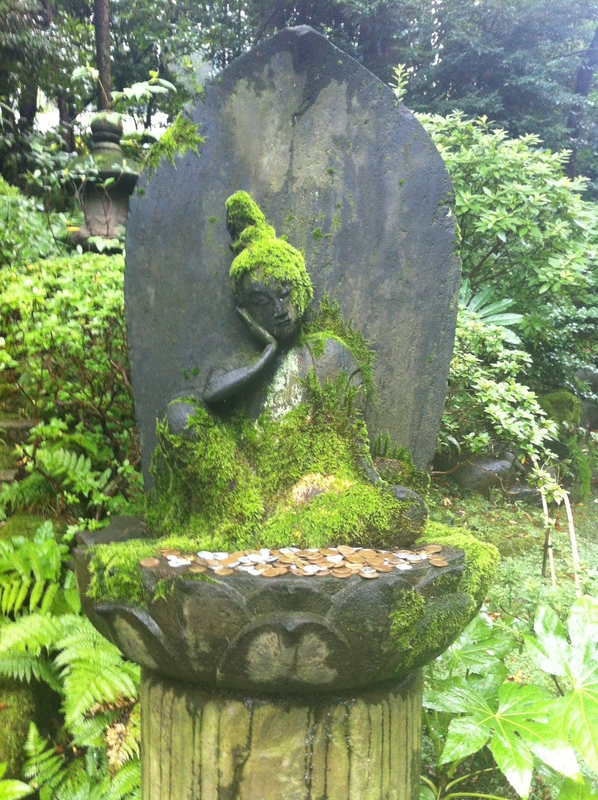 This mossy bodhisattva resides in the Japanese garden of the Nezu museum in Tokyo. I have a particular fondness for this figure.